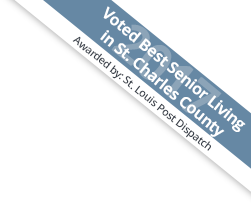 In 2015, St. Louis Review reporter Jennifer Brinker featured Twin Oaks Senior Living founder Mary Ann Huber in an article and photo series. The article told Mary Ann’s story of a mother and nurse who, with her husband, decided to turn their family home into an assisted living facility that would become Twin Oaks Estate and then expand to Twin Oaks at Heritage Pointe and Twin Oaks at Stone Ridge. 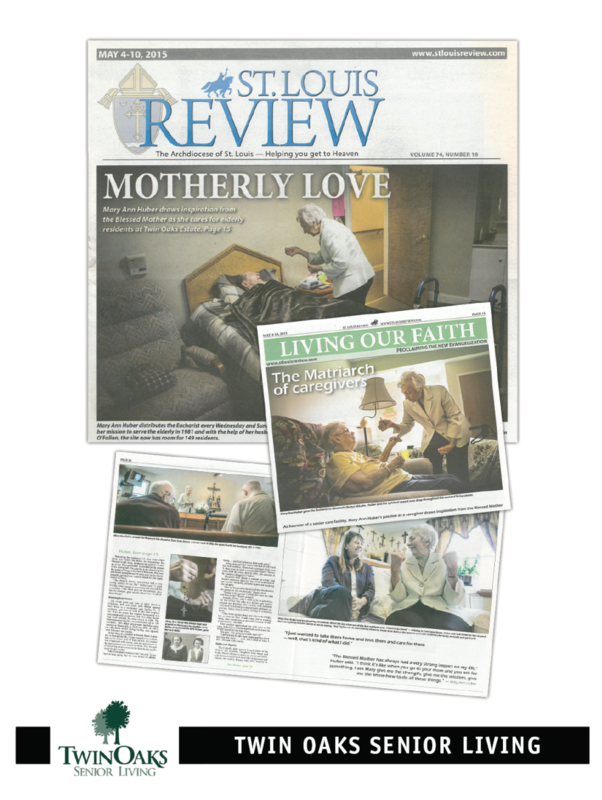 This month, the St. Louis Review received several awards for the article during the Catholic Press Association’s annual awards banquet. Mary Ann’s story received first place for best reporting on special age group: senior citizens; second place for personality profile, and first place for multiple picture package. St. Louis Review feature on Twin Oaks Founder Mary Ann Huber. Click here to read Mary Ann’s story and view the images.